Jojo Ensslin takes part in a collective exhibition in ” Casa Museo Mirador Lukas” in Valparaiso, Chile. The exhibition shows one work of each artist “inspired by Valparaiso” and is organized by “Fundacion Lukas, Valparaiso” and “PLOP! Galeria, Santiago”. 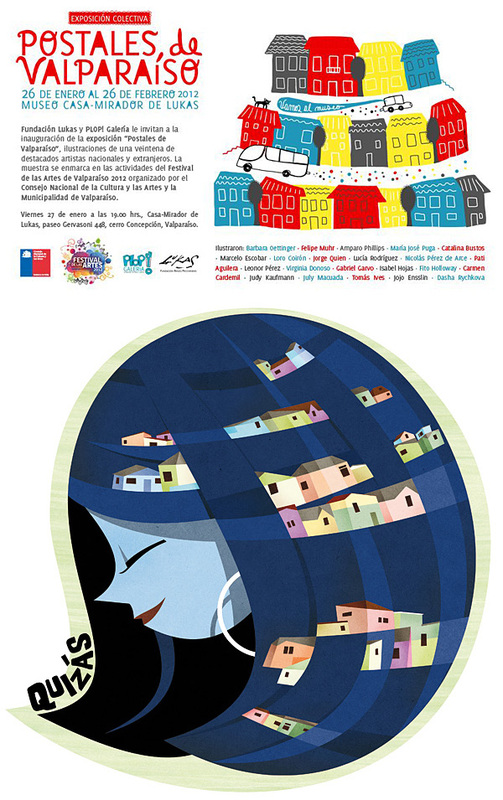 It takes part during the “Festival de las Artes de Valparaiso 2012” from 26.01. until 26.02.2012.